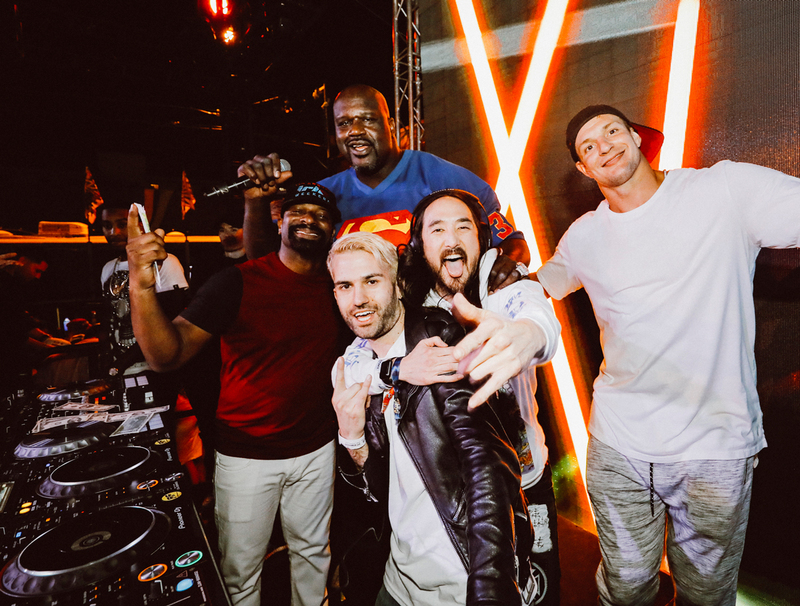 Shaq with Steve Aoki, A-Trak, DJ Irie, and Rob Gronkowski at the first Shaq’s Fun House in Miami. 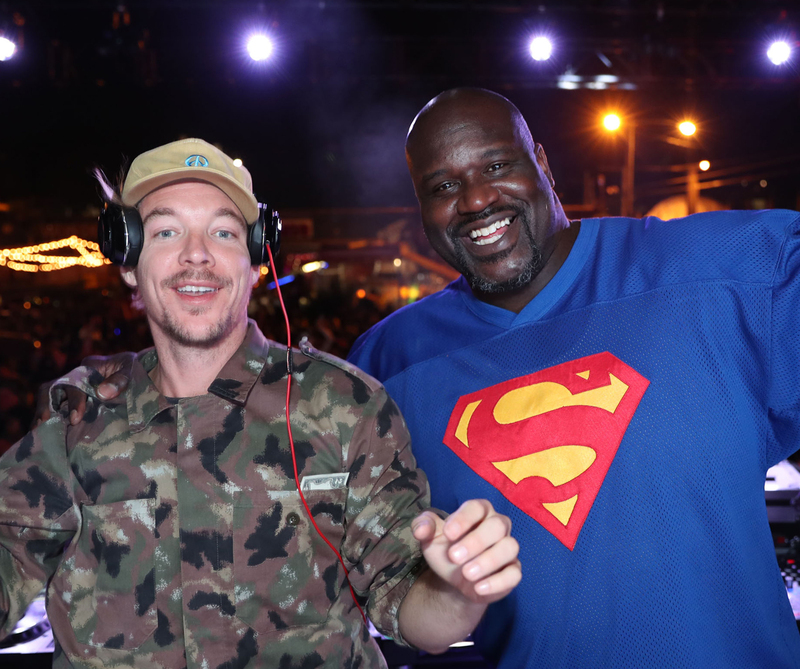 Last year, during Miami’s Ultra Music Festival, Shaquille O’Neal hosted an invite-only party that started at 2 a.m. and ran until 8 a.m. Called Shaq’s Fun House, the over-the-top event featured costumed dancers and fire breathers, carnival games, copious amounts of Shake Shack burgers, and appearances from EDM superstars such as Diplo and Steve Aoki. 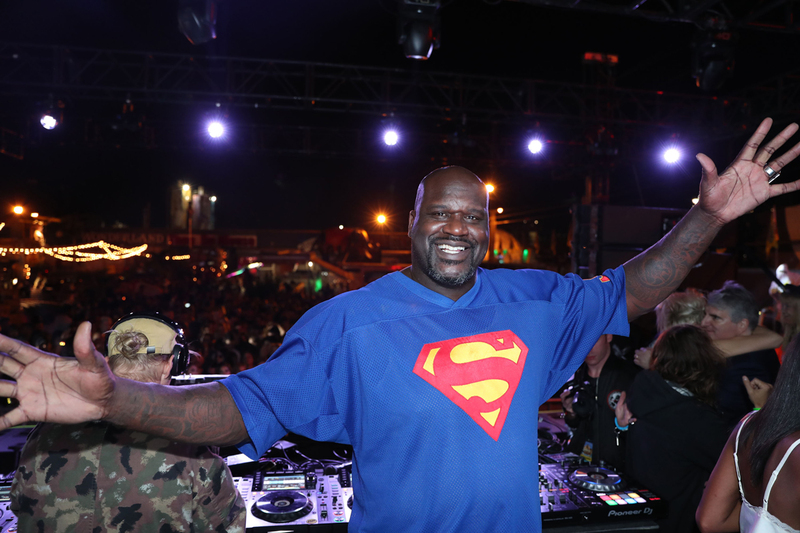 Shaq himself even DJ-ed at the event, and famously hoisted New England Patriots tight end Rob “Gronk” Gronkowski onto his shoulders at one point. Now, Shaq, who owns a house in McDonough, is bringing the party’s second iteration to Atlanta for the Super Bowl, and it almost sounds like something out of a “Stefon” sketch from Saturday Night Live: This place has everything—confetti blasts, Migos, Cirque Du Soleil performers, a circus sideshow, and a replica Waffle House. Oh, and the whole thing takes place in Cobb County—at Live! at the Battery Atlanta on February 1. But this version of Shaq’s Fun House will have also some uniquely Atlanta elements. The biggest, of course, is that Migos is scheduled to perform, just one night after playing the Bud Light Super Bowl Concert Series with Ludacris. (“The Migos are personally good friends with my children,” Shaq noted.) 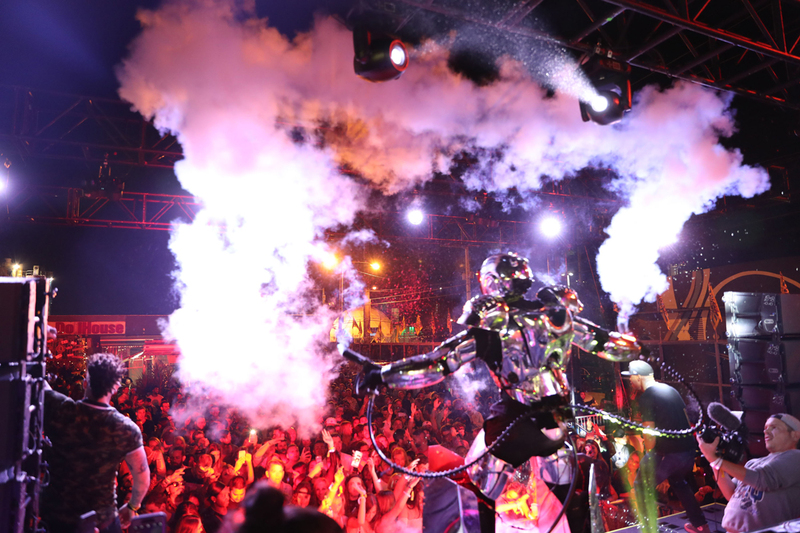 Atlanta native Lil Jon is also on the lineup, along with T-Pain and Miami’s DJ Irie. STK steakhouse will be serving up bites, and High Road Craft Ice Cream will make custom ice cream sandwiches. There will be a full pop-up version of Killer Mike’s Swag Shop barbershop, and Van Michael Salon will also offer services for VIP ticket holders. That’s slightly exaggerated, of course, but Shaq did meet with the VP of Waffle House to plan the pop-up, which will be a full replica of the beloved diner complete with booths, signage, and decor. It’ll also offer an exclusive dish, the “Shaq Hashbrown Bowl,” a double order of hashbrowns that are “covered” (with American cheese), “smothered” (with grilled onions), and topped with grilled Springer Mountain Farms chicken and thin-sliced ribeye. 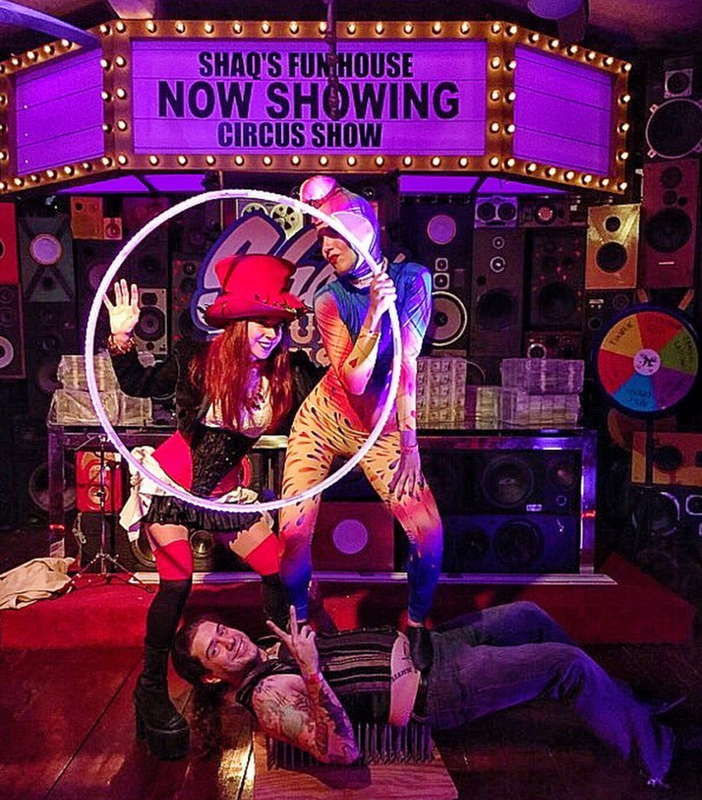 All-inclusive tickets for Shaq’s Fun House, which include food and open bar access, are currently selling for $300 but will increase to $600 before the event. 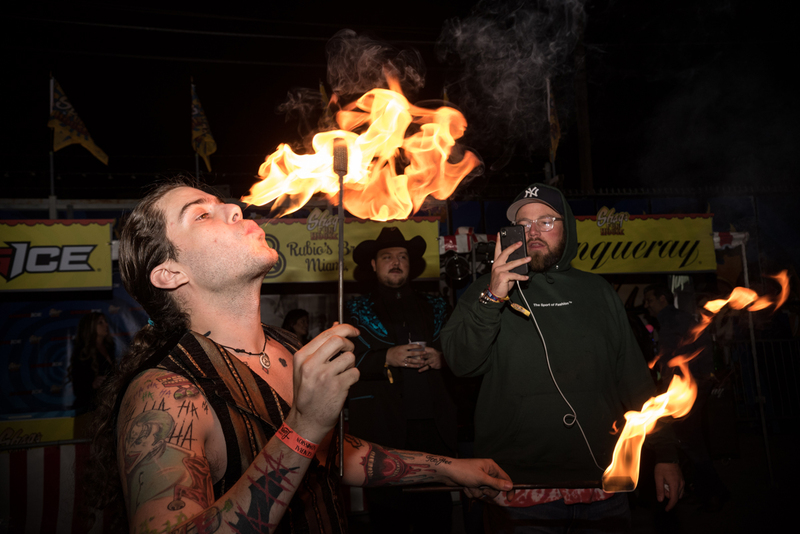 VIP tickets are currently $1100 and include exclusive food, services, and lounge access. There are also packages for a Vegas-style mezzanine area with bottle service, if you seek the most plush experience. Shaq and Gronk at the first Shaq’s Fun House in Miami.